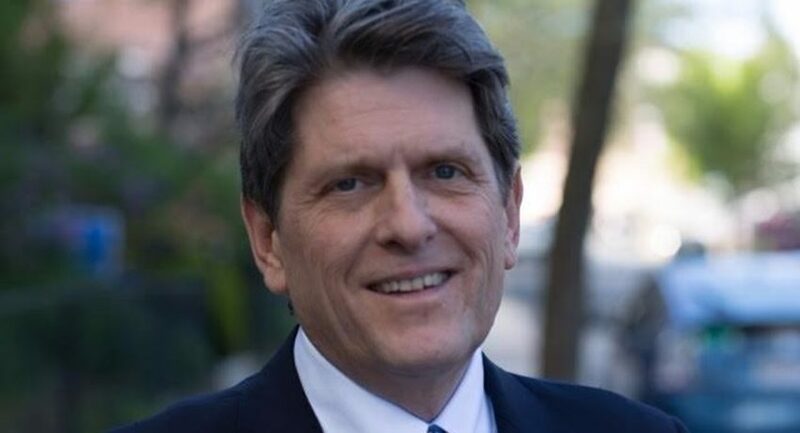 Gubernatorial candidate Bob Massie met with students, faculty, and staff at Worcester Stage University on Thursday, May 3 to share his vision for a Massachusetts that inspires people to make change and embraces concepts of a new economy. He began with an opening statement about his background and personal life. On a Fulbright scholarship, Massie spent time in South Africa, working beside Nelson Mandela’s people and having a close-up view of the truth and reconciliation work in post-Apartheid South Africa. In 1994, he won the Democratic primary for lieutenant governor and ran with gubernatorial candidate Mark Roosevelt against Republicans William Weld and Paul Cellucci. Climate change also has shaped Massie’s work with CERES, a coalition of environmental groups and institutional investors in the United States. And he spoke at length about how he led systematic change by bringing pension plan holders together and investor networks to focus on climate risk. “I could see bringing every community in Massachusetts together for month-long discussions on issues, such as race,” Massie said. At the end of the evening, the candidate engaged with a large group of students on the third floor of the Student Center, recruiting interns and fielding questions, including those on student debt, the costs of higher education, and how to bring back good jobs for all. Both Democratic and Republican primaries will be held on September 4. Massie and Jay Gonzalez are the two candidates for governor on the Democratic ballot, while Governor Charlie Baker and Scott Lively are on the Republican ballot. This event was the second in a series begin sponsored by WSU’s History and Political Science Department, the John J. Binienda Center for Civic Engagement, and the Ethnic Studies program, and the Worcester NAACP. Senior Nathan Childs won the $500 grand prize in the DCU Innovation Contest on April 25, presenting two financial literacy programs created by the WSU Enactus Team to help the men of the Hector Reyes House, a residential program for Hispanic men recovering from substance use disorders. Childs beat three other teams of WSU students from Adjunct Professor of Urban Studies Amy Mosher Berry's . . .